Depending on who you ask, you might get a different answer—especially since “successful” is such a subjective term. As it turns out, there’s not a universal answer to this question, and even if there were, it would likely change every few years. With that being said, I spent a good 30 minutes searching the web for a clear and short answer, and the result? Nada, zip, nothing. While this statement is nothing new or revolutionary, it captures the gist—or at least the basics—of a successful website. To prove this statement, let me share some statistics and real-world examples! To start, I'll break down this definition into three crucial areas: accessibility, SEO, and quality assurance. With 1 in 4 US adults (61 million) living with a disability, it’s a huge deal to ensure a website is correctly designed, developed, and edited so that all users can have equal access to information and functionality with whatever assistive technology they use. Just think about it—25% of Americans might visit your website and find themselves unable to interpret a video without captions, read a table that’s improperly labeled, take in featured content that slides by too quickly, or even see your logo due to color contrast issues. You may have heard, “The best place to hide a body is on the second page of Google.” 93% of online experiences begin with a search engine, so it’s reasonable to say that a good SEO strategy should be part of a successful website...right? At least for me, SEO is massively important to the success of any website I work on. You could have the most beautiful, user-friendly website in the world, but if nobody can find it, what good is it? 75% of people base their perception of a brand on the company’s digital presence, which is great news if your website is perfect. But in reality, most websites (even fortune 1000 companies) are plagued with errors, like broken links and misspellings, that can severely tarnish a reputation. In fact, my fellow Siteimprover Tyler collected data from 135 publicly listed US Fortune 1000 companies and found 13,142 broken links! A simple typo or 404 error page seems minuscule, but since 88% of online consumers are less likely to return to a website after a bad experience, it’s critical to catch those errors before a visitor does. Imagine you find an exciting offer from a website. You click the link and it takes you to an ugly 404 error page. Now what? You're frustrated by this barrier, and you may leave the website after one bad experience. If you’ve made it this far, there’s a good chance you're curious to see how well your own website measures up in the areas of accessibility, SEO, and quality assurance. Luckily for you, we just launched our Insights Report, which I can offer you for free! What is the Insight Report? This report is a snapshot review with insights into your website’s health through the eyes of our platform. 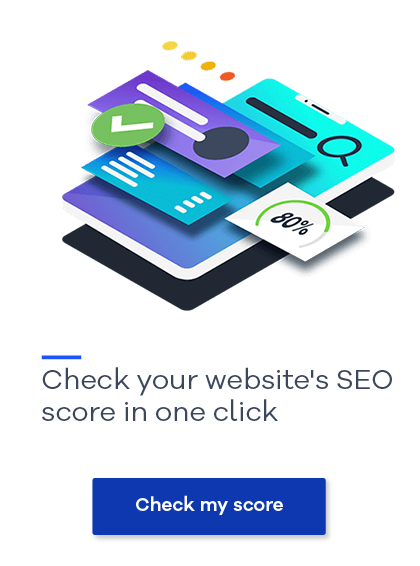 The Insights Report provides grades in the three crucial areas of quality assurance, accessibility, and SEO, based on hundreds of checks done by our online platform.